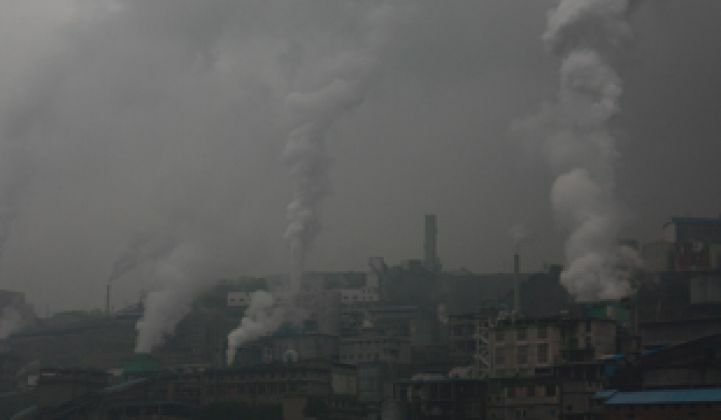 China may be investing heavily in clean energy. But its insatiable appetite for coal continues to grow at a stunning pace. The photos are stunning. In recent weeks, China's severe air pollution has grounded planes, forced roadway accidents, and caused a surge in respiratory illness -- problems that cause over $110 billion in yearly economic losses. The toxic clouds over the country have been described as "beyond crazy bad" by experts monitoring the situation. The problem is also worrying Chinese officials, who are concerned about the growing activism movement among citizens angry about the government's handling of the pollution problem. Much of the pollution is caused by the dramatic increase in the number of Chinese who are driving cars. But the stunning surge in coal production is also playing a major role. So just how much coal is the country burning? 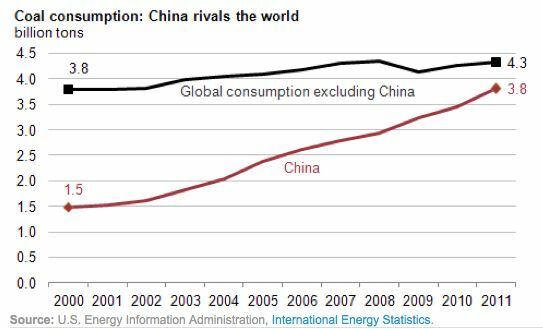 According to data from the Energy Information Administration, China is burning 3.8 billion tons of coal a year -- nearly rivaling the rest of the world combined. China has become the world's leading investor in clean energy. But its investments in coal are negating the environmental benefits of all that clean energy. Last year, Chinese companies and the Chinese government invested $67.7 billion in clean energy, a 20 percent increase over 2011. However, the country is also planning a massive build-out of more than 360 coal plants worth 557 gigawatts of capacity. By comparison, China currently has 62 gigawatts of wind capacity installed -- much of it not even tied to the grid.